Pages: pp. xi + 172, Illus. 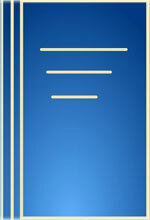 The Title "Brand Management The Indian Context 1st Edition" is written by Y.L.R. Moorthi. This book was published in the year 2008. The ISBN number 8125914277|9788125914273 is assigned to the Paperback version of this title. This book also comes in Hardback . The book displayed here is a 1st Edition edition. This book has total of pp. xi + 172 (Pages). The publisher of this title is Vikas Publishing House (P) Ltd.. Brand Management The Indian Context 1st Edition is currently Available with us.